I'm happy to announce the release of two of my latest children's wall art canvases. These are part of my Flea Market Finds Collection. 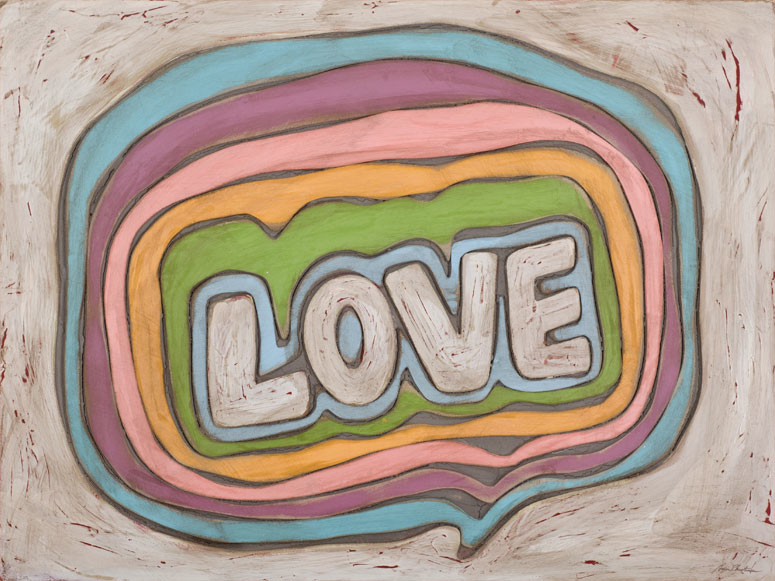 The Love Bubbles Canvas speak of love in a rainbow of colors. Available from my website and boutiques nationwide. a prism of brilliant colors. These and other pieces from the collection are inspired by the folk and hand wrought one-of-a-kinds you would find at Flea Markets. Whenever I travel, I love to hit the local flea markets. 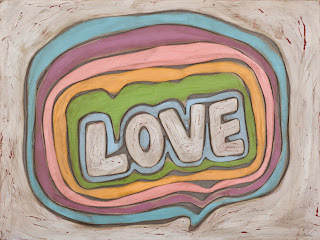 My love of vintage signage and quirky folk art always has me hunting for my next art treasure. 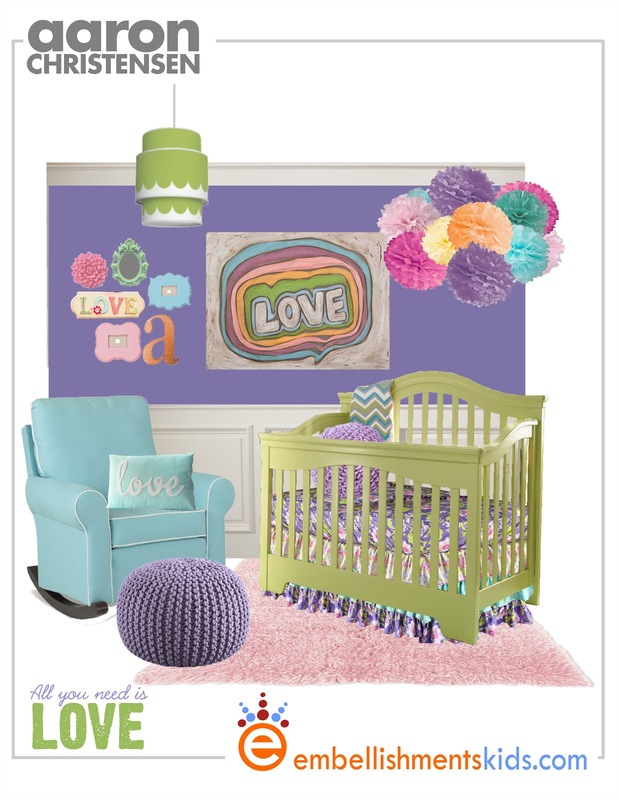 Within these works, I was inspired to create imagery with that unique art appeal and offer it in a color palette that compliments todays nursery and bedroom textiles. 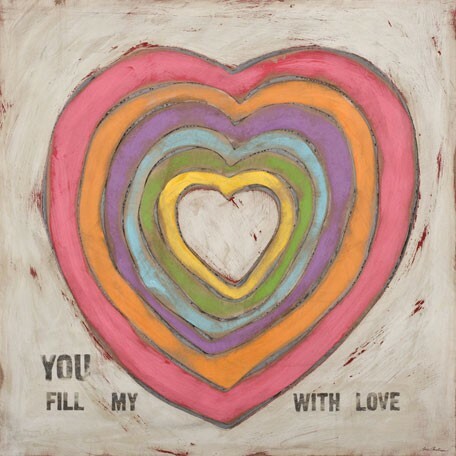 The sweet sentiment of "You Fill My Heart With Love" is a perfect expression of my love of text and painted word art. 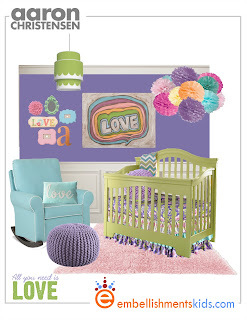 Here you might enjoy two mood boards, one for a nursery and the second a girl's bedroom. If you are interested in the art, it is available from my website boutique or from hundreds of retailers nationwide that carry my line. If you would prefer to shop locally, send me your zip code and I'll locate your nearest retailer. 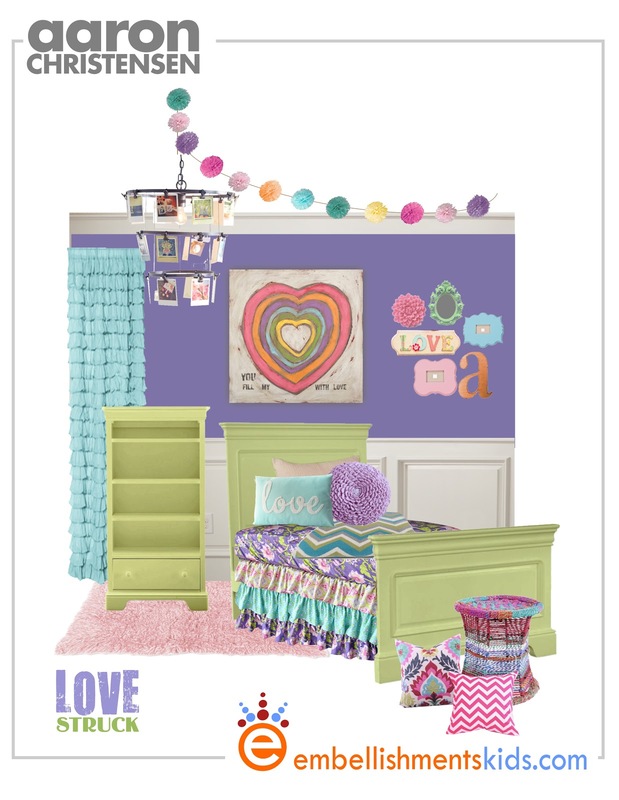 Keep in mind, EmbellishmentsKids.com offers e-consults and travel based design packages for nurseries, kid's and teen room. See our website for information.